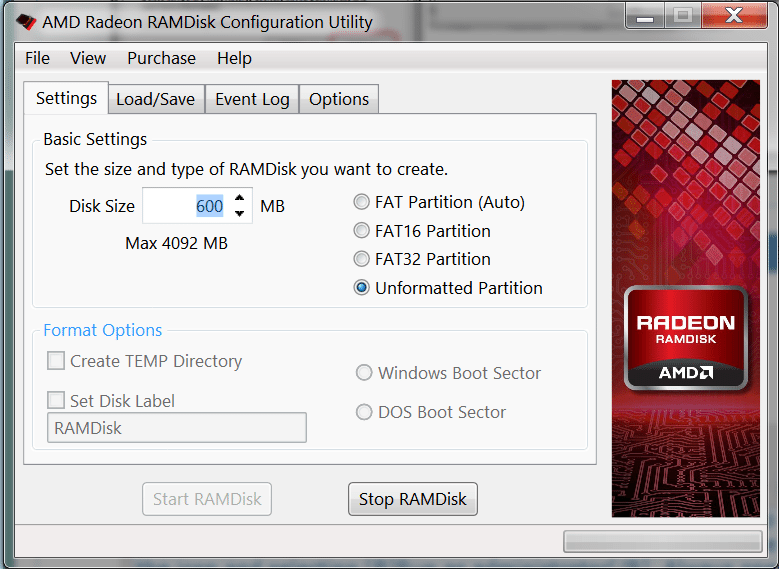 Excellent ram disk utility configure at run time and while running. Copyright (c) 1988 Vladimir Lanin. All rights reserved. For conditions, see license below. VDISK drive disappears at power-down. drive letters. Each VDISK drive takes up only 416 bytes of memory. drive with no disk inside. , any files on it will be lost. assumes the last drive in your system. floppy, specify a size of 354K. The default VDISK size is 160K. and no less than 32. VDISK always uses 1 sector per cluster. The default sector size is 512 bytes. default, N is the number of entries that fit in two sectors. 512, the default root directory takes a maximum of 32 files. RAM, z-15 specifies a limit of 625K. the z value (without the -) yourself. may have been on the old VDISK are irretrievably lost. still files on the old VDISK. load the regular VDISK program. Parameters to VDISK.EXE and VDISKOUT.EXE may be given in any order. A '-' or a '/' may precede most parameters, but need not do so. The parameter may include the ':', but need not do so. 0: Operation successful, specified drive was initially empty. 1: Operation successful, specified drive initially contained a VDISK. 2: Operation unsuccessful or negative response to an 'Are you sure?' prompt. 3: Error in program parameters. 4: Internal error, should never happen. beginning of the program block for the lifetime of the VDISK. total available memory, but all in one chunk, may not be able to run. non-fragmented state may be restored simply by removing the new VDISK. versions. In either case, I would appreciate any feedback. MS-DOS is a registered trademark of Microsoft Inc. THIS LICENSE AGREEMENT IS INCLUDED. Commercial sponsorship would be welcome.